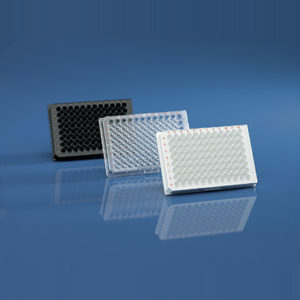 Product and ordering information for BRANDplates® Strip Plates: Non-treated or immunoGrade™ surface optimized for immobilization of IgG; flexibility for immunoassay development; transparent; 12 x F8 microplates. Without grid: Individual 8-well strips can be removed and placed within the frame. Use only as many 8-well strips as needed. With grid:The 8-well strips can be divided as needed. Even individual wells can be removed and replaced, with the grid securing their position. The ultimate in flexibility! 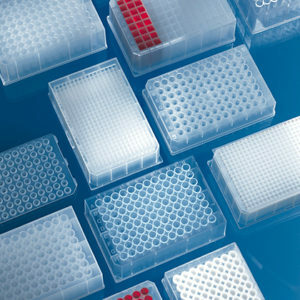 Both types of Strip Plates are available in either pureGrade™ or immunoGrade™ surfaces. 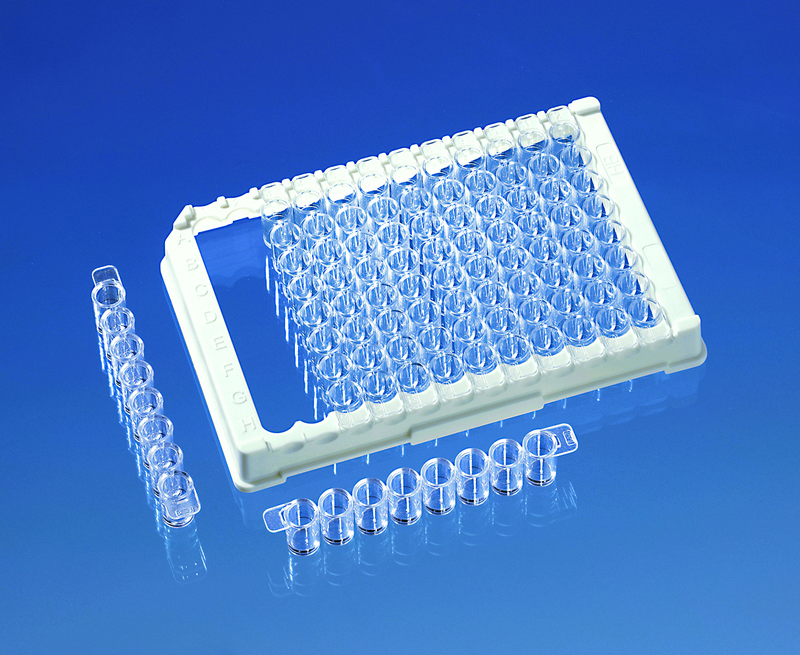 BRAND pureGrade™ plates are non-treated, polystyrene medium binding plates, slightly more hydrophobic than the high binding immunoGrade™ surface treatment. BRAND immunoGrade™ plates are optimized for the immobilization of IgG, and offer the highest binding capacity for molecules with mixed hydrophobic and hydrophilic regions. 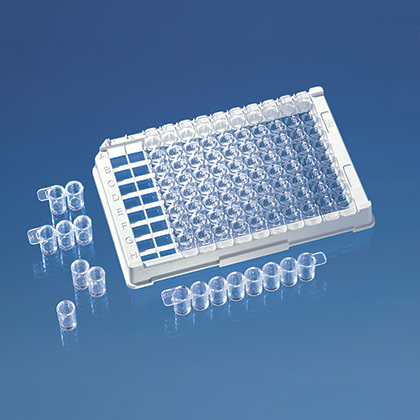 An excellent choice for the majority of standard ELISAs, and also suitable for solid phase immunoassays. Are the strip plates sterile? How are the different BRANDplates® surfaces produced? 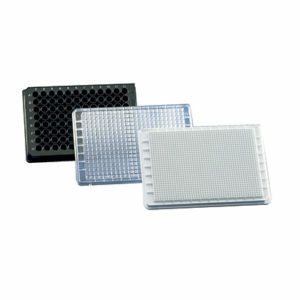 The surface modifications of the microplates are produced via a physical-chemical process. This kind of surface modification creates durable surfaces that can be stored at room temperature. Learn the effectiveness of BRANDplates® high binding immunoGrade™ surface using a direct antibody binding assay.